PHS will be a part of Asian Festival DC this Saturday July 31st in Reston, VA. We will be passing out flyers and raising awareness about what we do and how to help. Over 20,000 people are expected to show up over the weekend and we are thankful we have a chance to reach so many people. Come and meet us near the information booth and enjoy the festival. The focus this year is the Philippines. 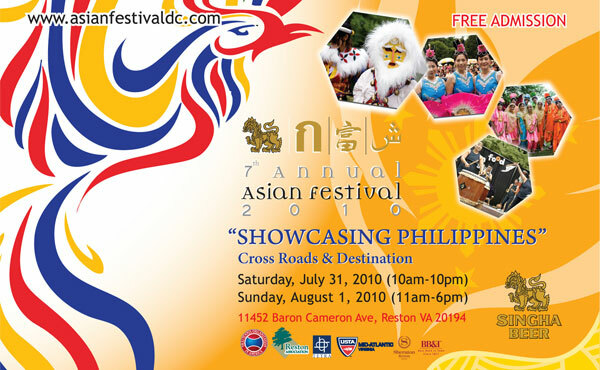 For more information visit www.asianfestivaldc.com.